Can we deflect an asteroid? Environmental advocates don’t normally consider interstellar rocks to be their discipline, but it is true that such an event could cause considerable environmental damage and even threaten the existence of life on Earth. Indeed, when a 10-kilometer-wide asteroid struck the Earth some 66 million years ago, it wiped out three-quarters of the planet’s plant and animal species (including the dinosaurs) and caused damage to the environment that lasted centuries. Humans weren’t around to witness the effects of that cataclysm, but we do know that a large impact today could trigger massive firestorms, mudflows, earthquakes and tsunamis as well as acid rain, ozone depletion and rapid greenhouse warming—not to mention an “impact winter” whereby pulverized rock dust and other debris would blanket the skies and block the transmission of sunlight, effectively stopping photosynthesis around the globe. A big enough strike could effectively wipe out life on Earth. NASA’s Planetary Defense Coordination Office is charged with providing timely and accurate communications on these threatening space rocks—including warnings about potential impacts—and leading the coordination of federal response planning. The office uses a combination of existing satellite and telescope technologies to track comets and asteroids, but it is also developing a new space-based infrared telescope dubbed “NEOCam” (short for Near-Earth Object Camera) to survey the solar system for large space rocks (larger than 140 meters across). The project is far from a front-burner concern for NASA right now, and proponents are hoping Congress will earmark funds to complete its development in the short term. Meanwhile, the California-based B612 Foundation is focusing on detection of smaller asteroids. “The real gap is the 100 times as many asteroids smaller than 140 meters but still large enough to destroy things on the ground,” reports Ed Lu, co-founder of B612. His team is working on a network of five to 10 telescope-equipped satellites to track these smaller space rocks and provide early warning services. Despite this warning, we’ve made no progress in the intervening years. 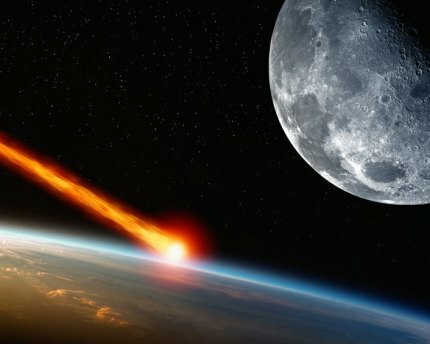 A June 2018 report from the Cabinet-level National Science and Technology Council warns that America remains unprepared for an asteroid impact event and urges the federal government to fund efforts to get ready for what astronomers say is inevitable at some point in the future. That said, unlike other environmental problems besetting us, there isn’t anything individuals can do to protect the planet from asteroid or comet strikes—except to urge representatives in Congress to support legislation that funds programs and technologies designed to detect and deflect those incoming civilization busters.